Take advantage of an incredible delivery offer for a limited time only. Have your heat pump delivered at your home in Canada with a lift gate truck that will lower the heater to the ground for you. Broker fees paid, GST taxes paid, PST taxes paid. 100% insured delivery with no claims to fill up. 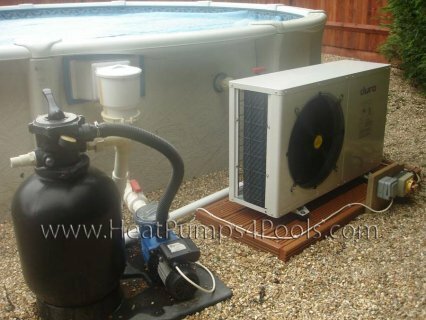 All you have to do is sign and accept your pool heat pump. In Canada we can also ship to a truck terminal in your city for a lower rate (doesn't include Broker fees or Taxes) or to the closest USA terminal to you for free. The Gulfstream Heat Pump extracts free heat from the earth’s atmosphere, a renewable energy source, and mechanically upgrades it and transfers it to the pool water. The process is clean and safe for the environment.